Grilling, Travel, Fishing, Cycling and Photography. The SmokeWare vent was actually a challenge to install because I had to drill two holes through the stainless steel. I had to keep the original air vent as an adapter but removed the top rotating vent piece. I did replace the exiting cheap gasket with the Nomex seal that came with the SmokeWare. Make sure to use small stainless steel screws, nuts and lock washers. Those can be found at Lowes or Home Depot. Brinkmann Ceramic Egg modded with SmokeWare SS Vent, Tel-Tru temp gauge and Nomex gaskets on top and bottom lid areas. Check the in store coupon book at BJ's that has a $100 off coupon. I used it to purchase mine a week ago when the sales price was $399 and got the grill for $299 plus NC sales Tax. Greetings everyone. I am new owner of Brinkmann Ceramic Egg I picked up recently from BJ's. I have been smoking Boston Butts, Chicken and Ribs for years on a barrel smoker. Was recently introduced to Kamado style grills through a friend that cooks on his BGE almost daily. 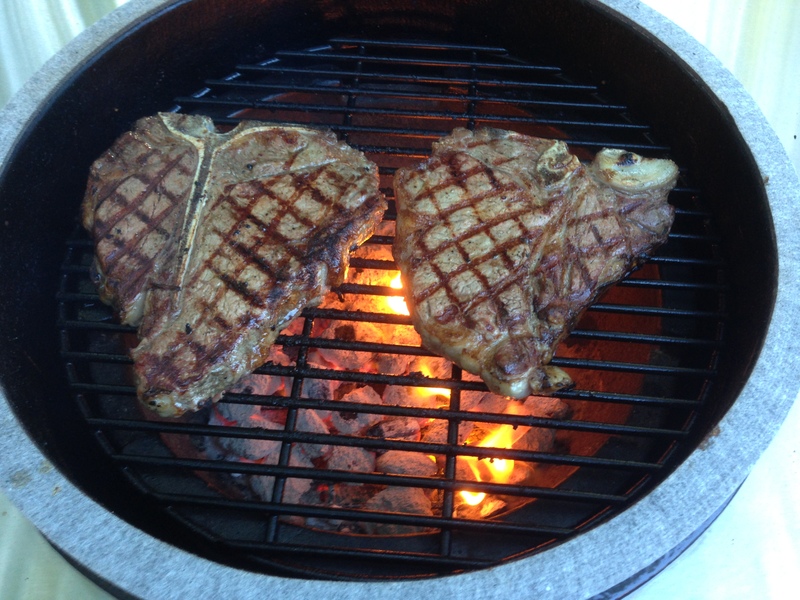 I really like the way these grills hold temperature and especially for searing steaks. 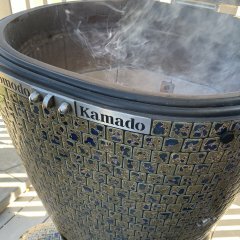 I joined this community to meet new friends and learn about experiences from other Kamado grill owners. Warranty on the grill is 1 year according to the manual. I purchased mine about a week ago at BJ's when they were selling for $399 ($599 with a $200 clip-less coupon) and there was an additional $100 coupon (in the store coupon guide) that you could apply at checkout. For $299 + Tax this grill is a steal, but there are issues with the quality of this grill that I would caution against. -The temp gauge is garbage and very inaccurate, I replaced mine with a Tel-Tru gauge look up part number LTR225R on Amazon.com. I got the 150/750 gauge for low smoke temps. -The felt gasket is awful and cheap. After one use, it separated from the top lid. I recommend going to a local Green Egg dealer and purchasing a replacement gasket kit. I put a gasket on the top and bottom. -The chimney on this grill is ok. I went with "ompy77's" recommendation on the SmokeWare SS Vented Chimney. -Egg firebox does not sit flush with the grill bottom surface, wobbles to the left side due to uneven bottom edges. Had to get sandpaper to smooth out the bottom of firebox. -16" grate, little bigger than a medium Green Egg. I wished the surface area was 18". Hard to find a grill grate extender for this odd size and no luck finding one yet.